Scrub Island Resort’s award-winning multi-tiered infinity pool offers guests chaise lounge chairs on the outer rim, all with breathtaking views of the Caribbean waters from both levels. The pool also features two swim-up bars with a variety of cocktails and a thrilling water slide plunging guests of all ages into the crystal blue waters of the lower tier pool. While on island, guests can also be pampered in Ixora Spa, hike the island’s winding trails, stroll beautiful private beaches, or drop by the marina to arrange kayaking, snorkeling, diving, fishing or sailing excursions in the surrounding azure waters. Virgin Islands Property & Yacht is a leading monthly publication covering the latest news, developments, real estate listings and service directories for the Virgin Islands. All winners for this year’s Readers’ Choice Awards will be listed in the magazine’s October issue and online at BVIGuides.com. 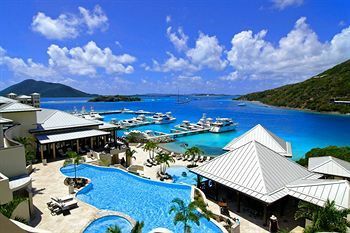 For more information about Scrub Island Resort, Spa & Marina, call toll-free (877) 890-7444 or visit ScrubIsland.com. Travelers can also stay up-to-date on the latest resort news and promotions on Facebook or Twitter.